Every year the industry's biggest names in mobile gather in Barcelona to show us a glimpse of the devices and innovations for the next months and even years to come. Over 108,000 attendees from 208 countries, more than 2,300 companies in participation spanning nine halls and eleven outdoor spaces. The show was huge. 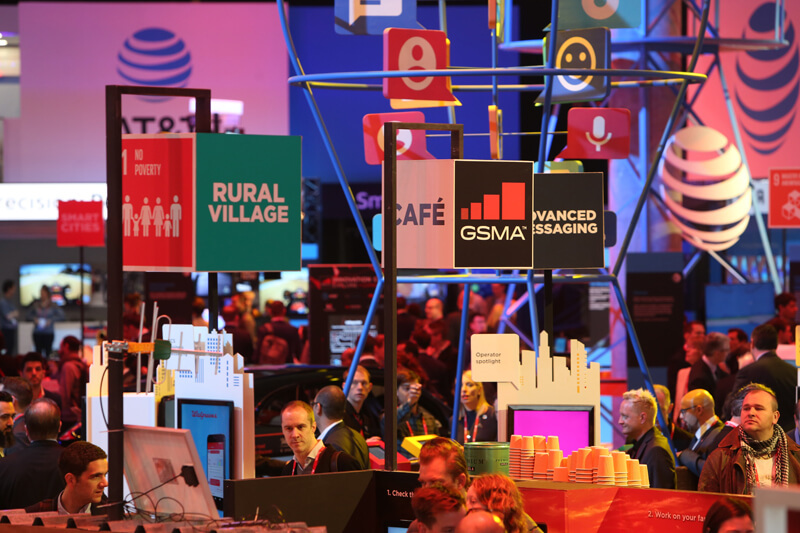 We've been bringing you the top MWC stories and highlights daily while the show lasted, but with so many announcements hitting the wires at the same time, the fun is in recognizing the trends that are shaping the industry. In no particular order, here's our selection of the most innovative, promising, or downright cool products we saw at this year's show. During the whole show the Nokia 3310 stand was heaving with people. Yes, it may be riding the nostalgia wave, and it lacks Wi-Fi, GPS, touchscreen, an app store, or instant messaging, but HMD Global’s device will cost ~$50, has a camera, comes with a color screen, and has a basic web browser. 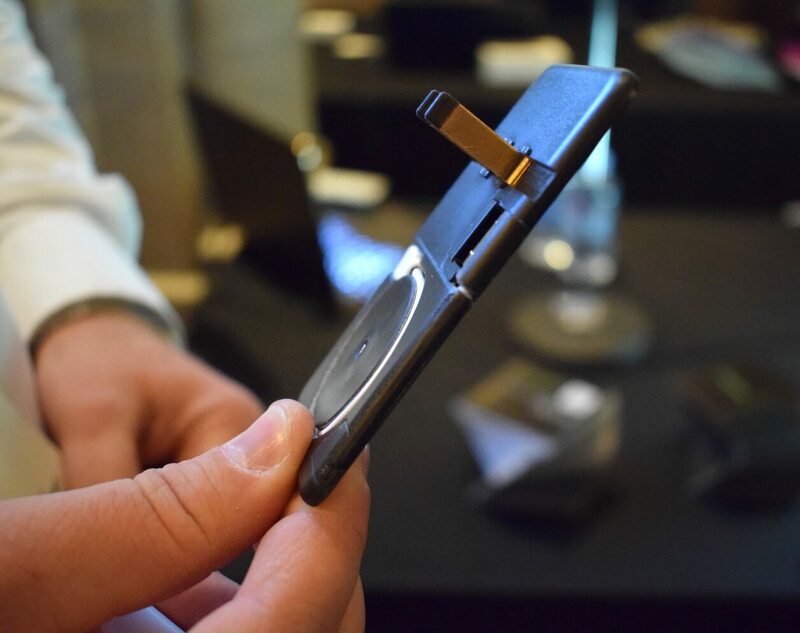 There’s even a dual SIM variant, a microSD card slot, and of course, Snake. The key selling point of the phone is value, durability, and battery life. The new 3310 can last a month on standby and has 22 hours talk time. It didn’t feel as brick-like as the original when I picked it up, but I bet you could use it to smash any of today’s flagship handsets and it will still work afterward. Expect it to be popular as a burner device and among many older folks who can’t figure out today’s smartphones. Let’s just hope it comes to the US. Smartwatches still haven’t taken off the way manufacturers expected. There are several theories as to why this has happened: many are still prohibitively expensive, constantly needing to recharge them is a pain, and some people just prefer watches with traditional hands. Step forward, MyKronoz ZeTime. The Swiss firm has created the world’s first hybrid smartwatch. Unlike Tag Heuer’s recently revealed attempt to mix digital and analog by using swappable faces, the $199 ZeTime has physical hands sticking through the bright, 1.22-inch 240 x 240 TFT display. It comes with many of the features found in most smartwatches, such as heat-rate monitoring, tracking, notifications, and interchangeable straps. It also has a 3-axis accelerometer, and you’ll get 30 days life out of it if you stick to using the mechanical hands. The touchscreen mode lasts for three days on a single charge, which is roughly what most modern smartphones offer. It was only a prototype that I saw - the full version arrives in September - but it still looked and felt very impressive, and could offer a compelling alternative to those who want the best of both worlds. The all-new LG G6 was my favorite handset and product at this year's show. There were plenty of great new phones at Mobile World Congress, and with Samsung not yet ready to reveal the Galaxy S8, that left the door wide open for someone else to grab the show's top headlines. For me that was LG’s G6. I spent many hours with was a “First-Look” unit (not the final shipping product) and I found it to be an excellent piece of kit. LG has put behind the bad memories of the modular G5 with a phone that offers a huge amount of screen space on that 2880x1440 display while producing a device with a smaller footprint than most flagships. One-handed use is a key feature here, and it works well. The 18:9 ratio is put to good use by the camera and several apps. And while it may not be an AMOLED screen, I still found it to be bright and colorful. Plus, it’s the first phone to come with Dolby Vision HDR, even though it’s not 4K -- so you’ll be able to watch some pretty stunning videos from the likes of Amazon Prime. 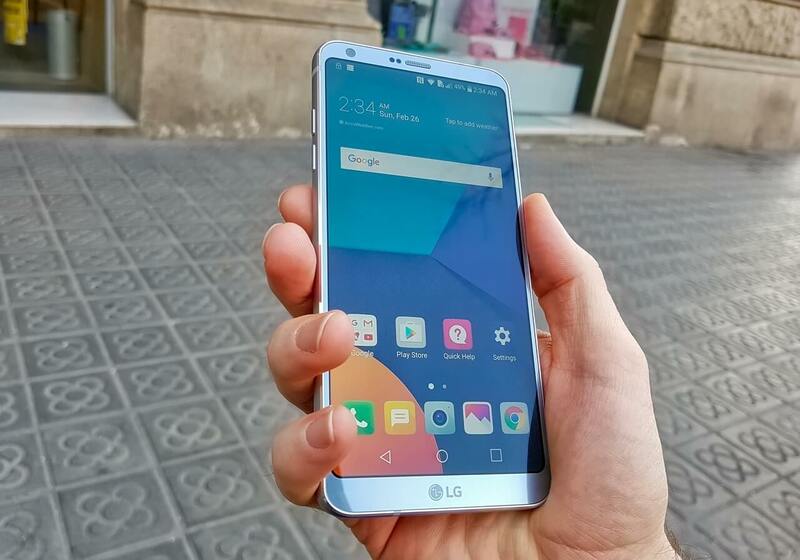 Other specs such as the Snapdragon 821, wide-angle camera, 4GB of RAM, and the handset's solid build round off what could be one of LG’s most popular phones. Lenovo is trying to cover all the bases with the Yoga 720. 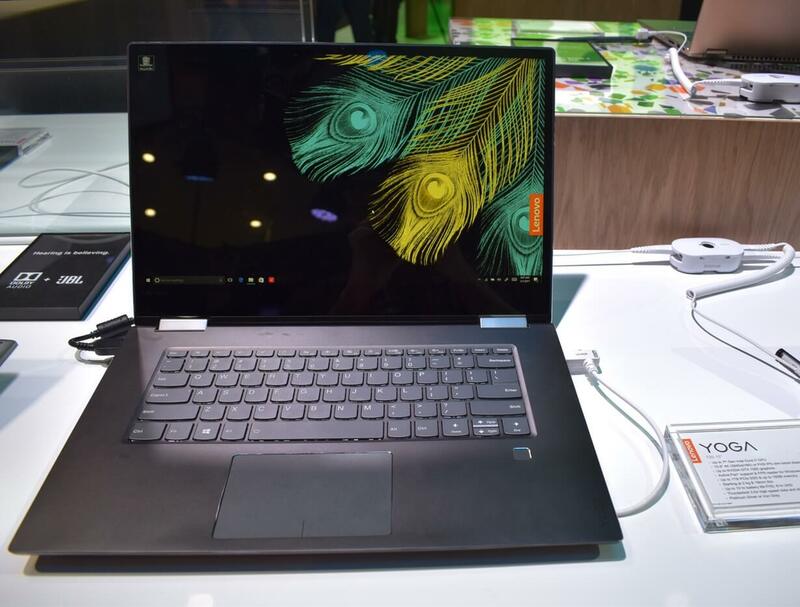 The 360-degree hinge means you can use it as a traditional laptop but also in tent mode and as a tablet - though the 15-inch version makes for a very large slate. Configuration options include a 4K IPS display, a 7th-gen Kaby Lake CPU, and a mixture of storage setups. Best of all, you can stick a mobile GeForce 1050 in it, which should give solid performance in most games. There’s also an optional Lenovo Active Pen, which I found worked pretty well and seemed particularly rugged. And the fingerprint reader for Windows Hello is a welcome feature. I found the 15-inch Yoga 720 felt great to type on, it was snappy, the touchscreen was accurate, and moving from laptop to tablet was easy - despite the size. And that 4K screen, which can last for 8 hours according to Lenovo (we're skeptical), looked gorgeous. Two USB-C ports, one with Thunderbolt 3 support, round off what could be the most versatile 2-in-1 on the market. Both 13-inch and 15-inch versions will be available in April, with prices starting at $1100 for the larger model. Carrying around a bulky wall charger or battery pack for your cell phone can be a pain, so how does a charger that fits in your wallet sound? With the Kado Wallet, such sorcery becomes possible. The device certainly appears to live up to its name as the world’s thinnest charger. It’s less than 0.2 inches thin - “thick as three credit cards” - and measures just 1.88” by 1.57”. The outlet prongs fold out, and there’s a two-foot coiled cable (micro USB, Lightning or USB-C) on the inside that can plug into your devices. Plus, it can be slid apart to reveal a USB plug for data transfers and has a maximum power output of 10 watts. Eventually, the Kado wallet may come with a built-in battery as well, so you won’t even need an outlet to get a bit of extra charge. The Wallet will go sale this summer for between $40 - $50. It's not the cheapest charger, but something this useful could be worth the money. Additionally, the company has a similar, 70-watt charger for laptops and tablets that’s as thick as a pencil. It will cost around $100 and also release during summer. Those who like their smartwatches should check out the Huawei Watch 2, which comes complete with Android Wear 2.0. 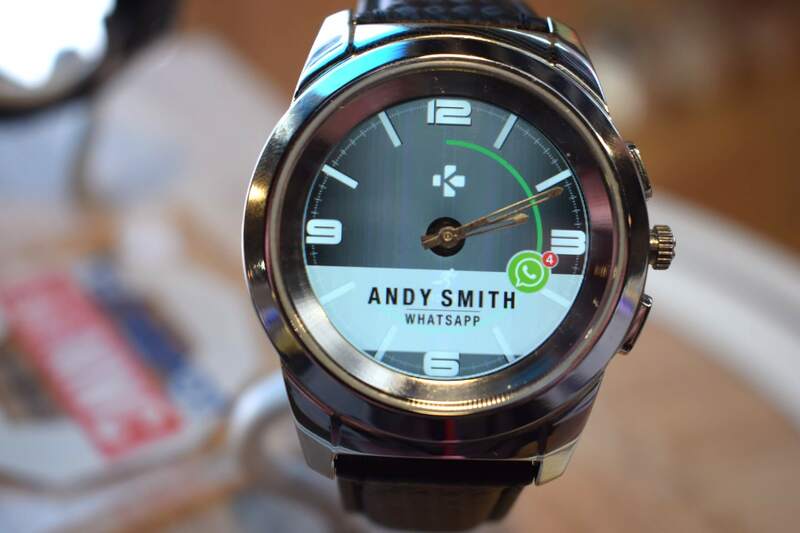 There are two versions - the Watch 2 and the Classic - the former of which boasts LTE connectivity, so you can insert a SIM card and make/receive calls (it includes microphones and speakers) and texts without requiring a paired smartphone. While the lack of a rotating bezel is a disappointment, I found the wearable felt light and looked good on the wrist, definitely not a bulky monster like some of its competitors, while the interface was snappy and responded well to touch. 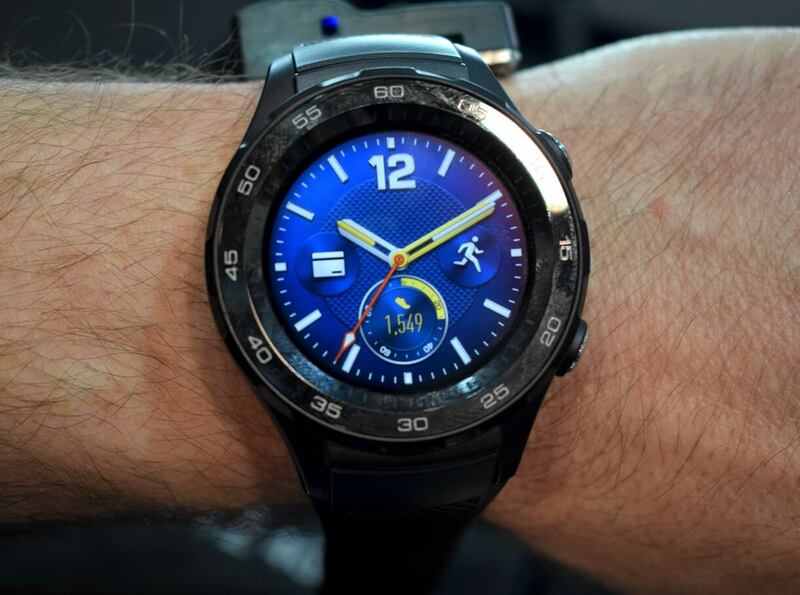 Battery life continues to be an issue with smartwatches; Huawei’s device gets you two days worth of use, which is almost at the top end of the scale, but there's a mode that lasts for 25 days by turning off everything but the watch face and pedometer. Other features include GPS, heart-rate monitoring, IP68 proofing, interchangeable straps, NFC support, and a Snapdragon 2100 chipset. It’ll cost around $350 when launched in April. 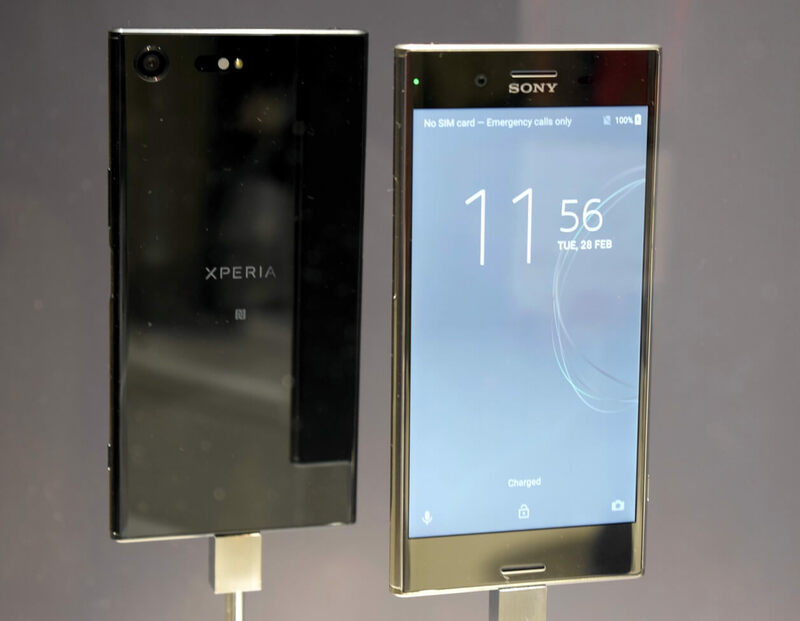 It seems the lukewarm reception to the 4K screen on the Xperia Z5 Premium didn’t put Sony off bringing the technology back in its new flagship, the Xperia XZ Premium, which boasts a 5.5-inch, 3840×2160 LCD (801 PPI). It seems the rumors that we wouldn’t see the Snapdragon 835 in any phone prior to Samsung’s Galaxy S8 weren’t accurate. The XZ Premium sports Qualcomm’s latest and greatest SoC, bringing with it extra speed, power, and features. Not only is the display 4K, it’s 4K HDR, something that up until now has been restricted to high-end TVs. The Amazon Prime demo running at the show took full advantage of the tech, and it looked simply stunning. And don’t worry about battery life - you can turn off HDR and downscale to a lower resolution. The XZ also comes with an ultra slow-motion 960fps shooting mode, which is seriously cool. Then there’s the ability to hit gigabit download speeds (when available), Quick Charge 3.0, “predictive photography” for capturing action shots, and lots more. Given Sony's past record, the big questions now are availability and price, neither of which were disclosed hanging a question mark over the XZ's soft launch. 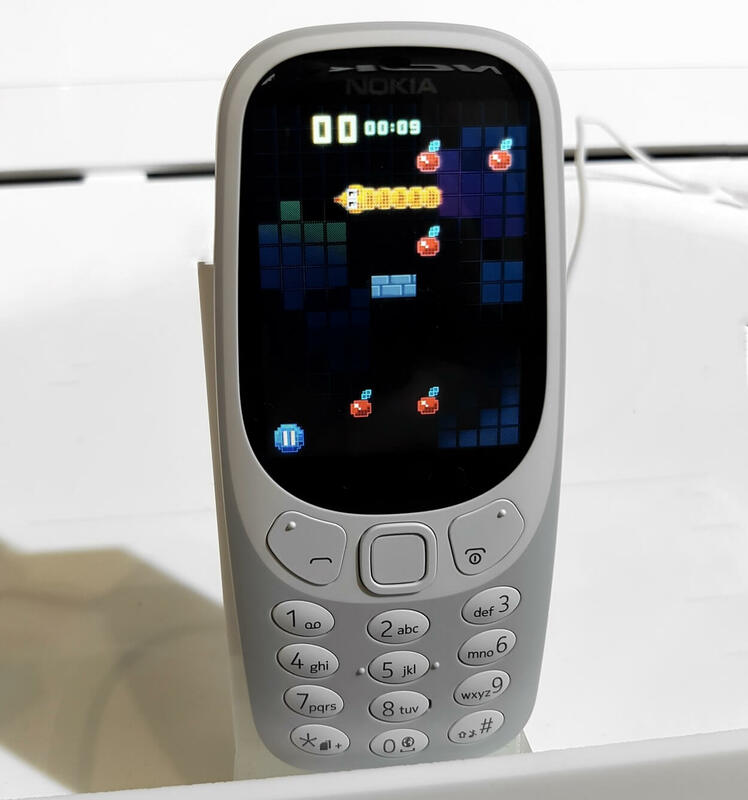 While most of the focus at the Nokia/HMD Global stand was on the 3310, there was another great device on show: the Nokia 6. It's an affordable handset with the potential to bring true competition to the likes of the Moto G and other phones in that range. 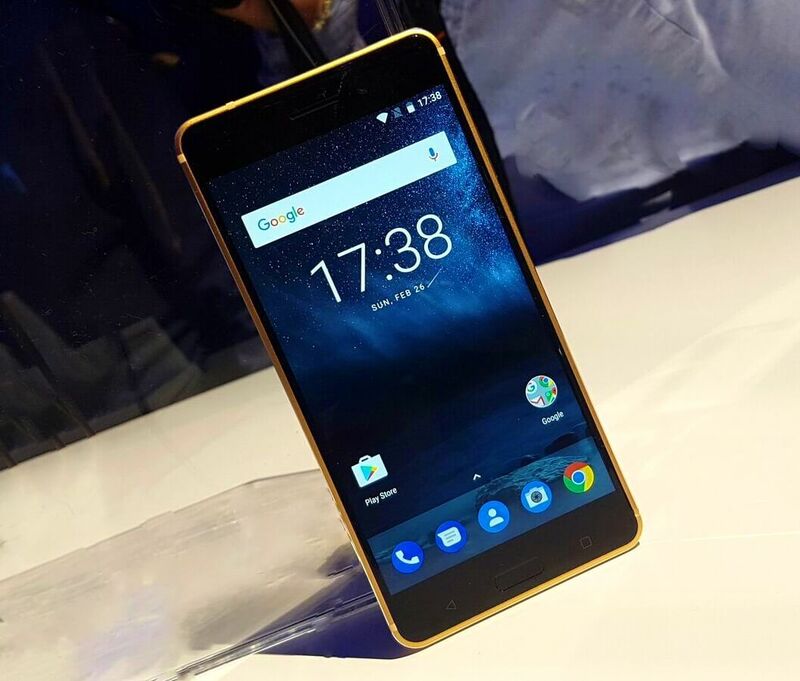 But one of the most compelling features of the Nokia 6 is that it comes with stock Android Nougat -- so no bloatware and the company is promising fast and regular software updates.